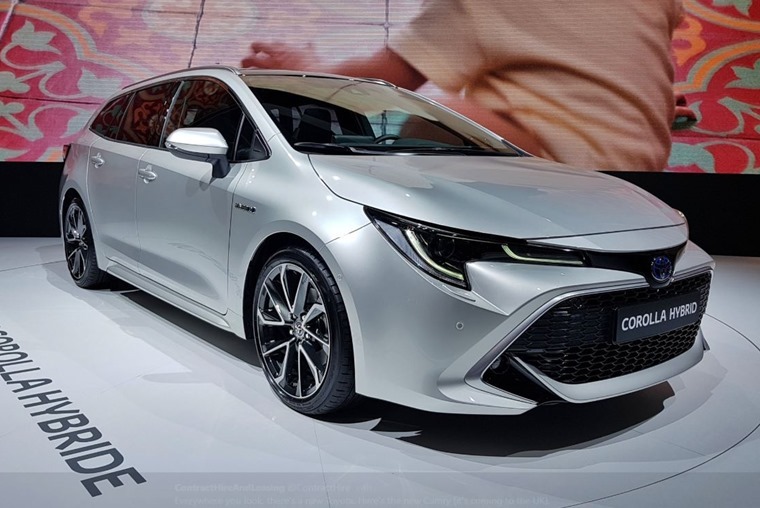 The new Toyota Corolla Touring Sports has made its public debut at the Paris Motor Show. 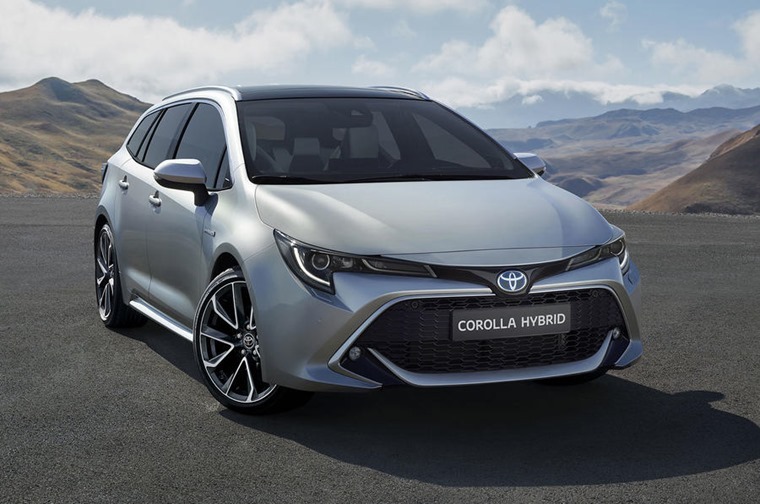 Essentially an estate version of the hatch, its direct rivals include the Ford Focus Estate and Seat Leon ST.
Read more: Why is the Corolla name returning to the UK? It shares much of its look with the upcoming hatchback bar the extra glass and metal at the back. 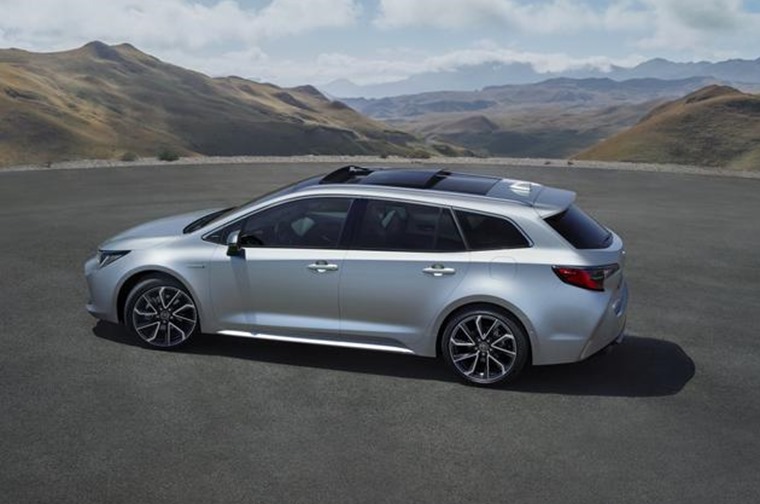 Unlike a traditional estate, a steep, raked rear window and sloping roof is meant to give the Touring Sports a more shooting brake like look, rather than all-out estate. Unlike previous iterations, it isn’t solely based on the hatchback either. It sits on its own specially designed platform, meaning it gets a huge 598-litre load space over the outgoing Auris Wagon’s 507 litres. Four two-tone paint themes will be offered from launch too, while a full LED rear light set-up is standard across the range. Thanks to a larger 2,700mm wheelbase, Toyota promises it’ll deliver class-leading rear legroom too. 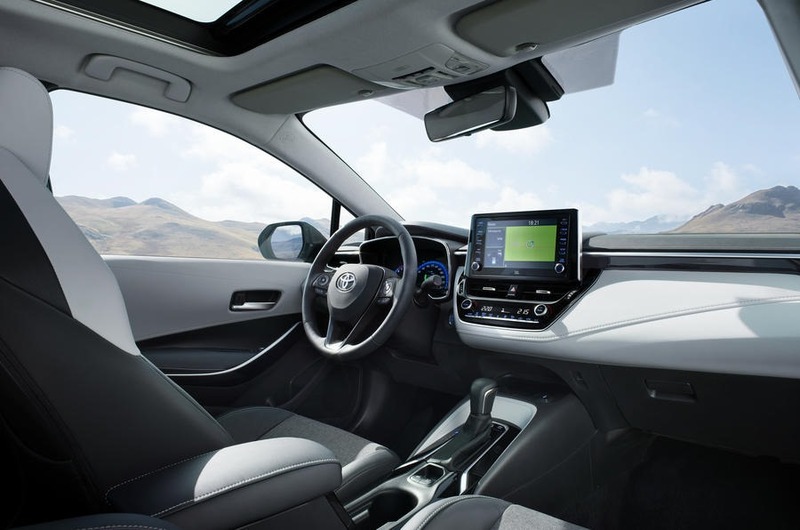 In the cabin, Toyota’s latest infotainment system is present, as is a clutter-free sweeping dashboard design. It’ll be offered with features such as wireless charging and a JBL sound system. Three engines will be offered from launch – a 114bhp 1.2-litre turbo petrol, and a pair of petrol-hybrid units. A 1.8-litre produces 120bhp while a larger 2.0-litre makes 178bhp. We’ll learn more about specs for the UK-bound Corolla Touring Sports soon, but in the meantime, you can check out lease deals for less than £250 on the outgoing Auris Touring Sport by clicking here.